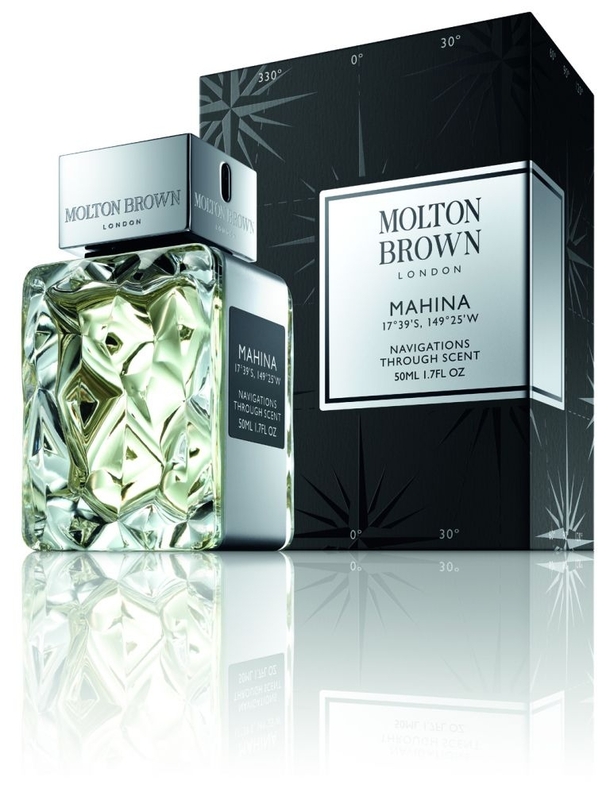 London-based beauty brand Molton Brown is releasing a new unisex fragrance inspired by Tahiti. Mahina is the latest addition to the brand's fine fragrance collection, Navigations Through Scent. The luxurious tiare flower is mixed with base notes of vanilla and cedar wood, creating a citrus-wrapped floral scent. On some Pacific islands, women tuck tiare flowers behind their ears to signify their relationship status. It certainly beats Facebook! Molton Brown's principal perfumer Jennifer Jambon (winner of the Prix International du Parfumeur Createur in 2008) explained the scent: "'Mahina' is a bright, happy fragrance inspired by the idyllic white beaches of Tahiti. The blend of fresh citrus orange flower and ylang-ylang combined with the white floral heart of the tiare flower creates a beautifully balanced floral fragrance for both men and women." Named after the Mahina region of Tahiti, the scent is the latest in Molton Brown's unisex Navigations Through Scent range.The scent tour has previously taken in Egypt, Indonesia, China, rural England, and Nova Scotia. Mahina, which is in stores now, retails in the UK for £60 (€70). Founded in London in 1973, Molton Brown features a collection of unisex perfumes, bath and shower gels, candles and hand care products and has grown from origins in a small hair salon into a global brand. Famed for all-natural luxury ingredients and a no-animal testing policy, the company still manufactures 90% of its products in Hertfordshire, England.